More than ever, educators want and need civics programs that not only teach our country’s history but also impart the values on which our rights and responsibilities are based. 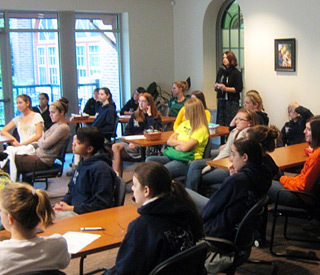 The 2015 National Assessment of Educational Progress, also known as the “Nation’s Report Card,” reports that only 18 percent of eighth-graders are proficient in U.S. history, and 23 percent in civics; just 12 percent of high-school students are proficient in history, and 24 percent in civics. 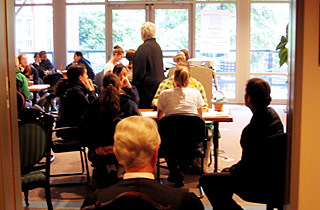 The John Marshall Foundation’s civics education programs fill this void and focus on the constitutional foundation of our nation, the three co-equal branches of government, the rule of law under the Constitution, and the role of the judiciary in preserving the rights and liberties of all citizens. 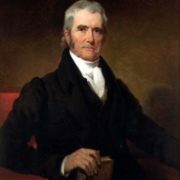 JMF programs are unique in their focus on founder John Marshall as patriot, solider, statesman, jurist and historical guide through our nation’s journey from its infancy to our current times. Please contact Barbara Schneider at (804) 775-0861 or email us.